Add all ingredients to electric mixer. * This is not a very sweet smoothie; I think many pumpkin drinks are too sweet for me. 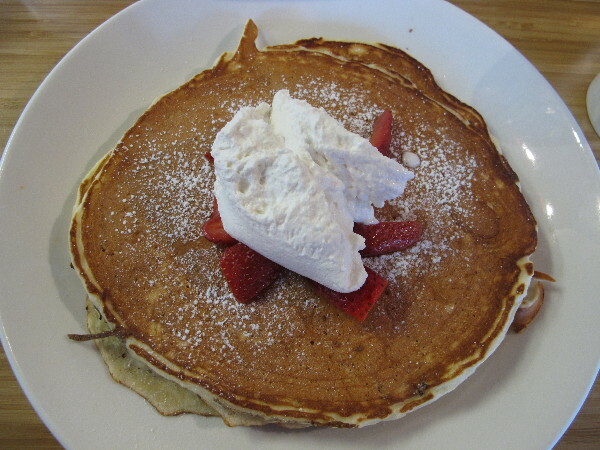 If you would like yours sweeter, add maple syrup or agave nectar. Hello Everyone. 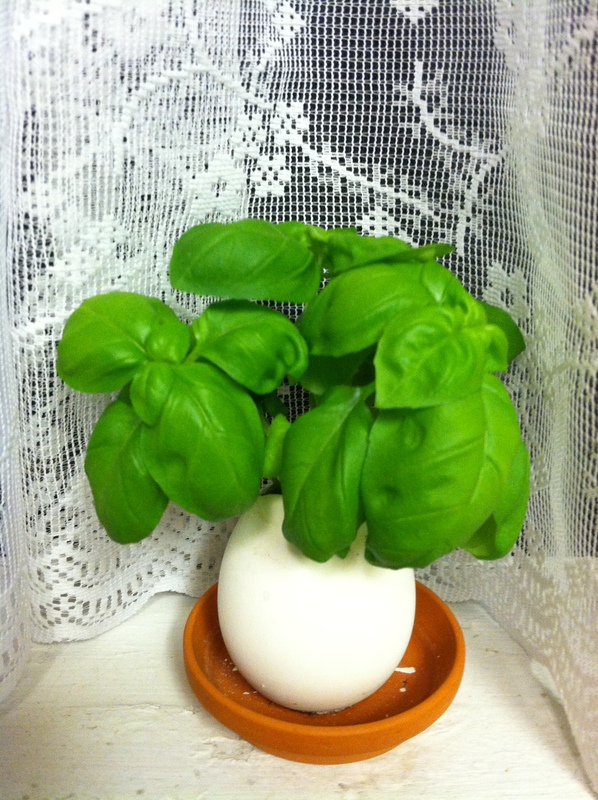 Happy What I Ate Wednesday! 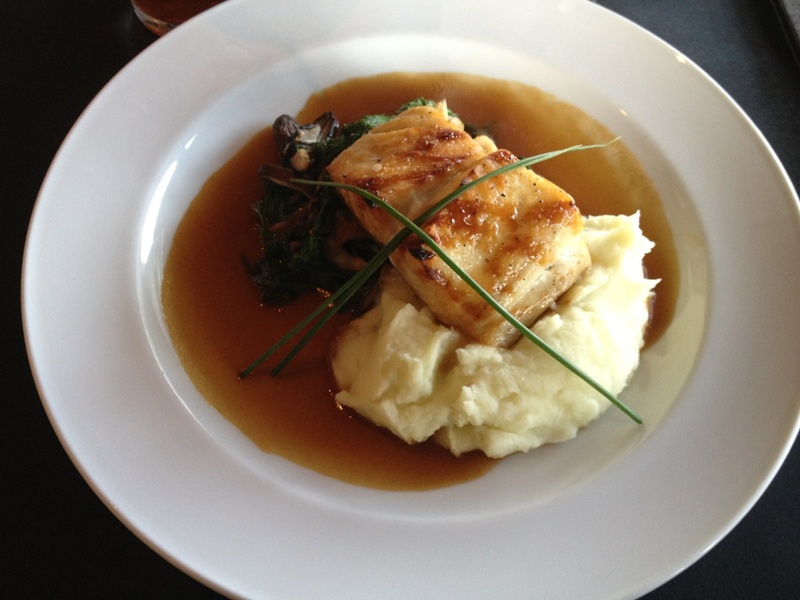 I am sharing my meals from last Saturday. This Saturday, I ran lots of errands and ate on the run. I hope you enjoy my day. Thank you to Jenn at Peas and Crayons for hosting the WIAW. 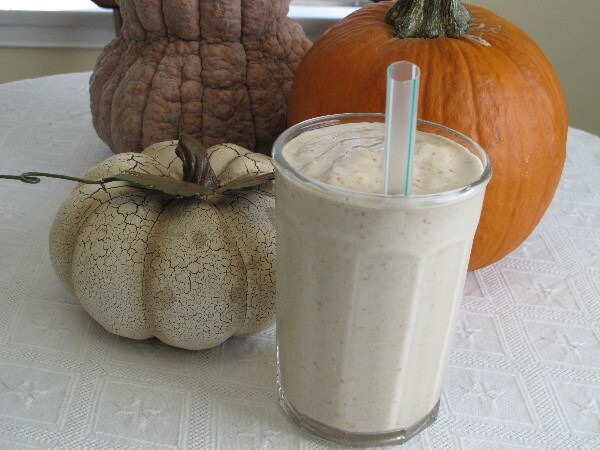 I started the day with coffee and a pumpkin smoothie ( my recipe). 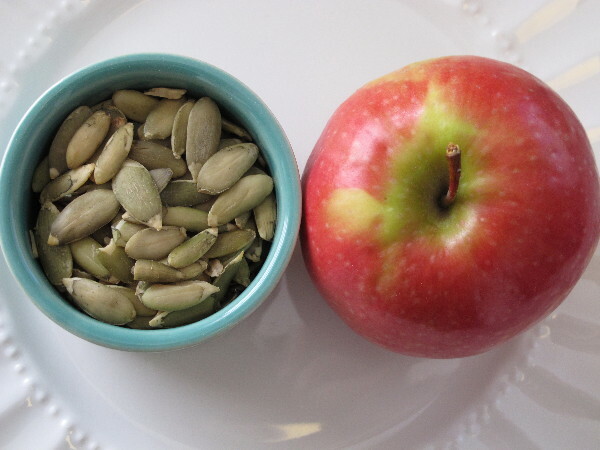 A pink lady apple and pumpkin seeds. 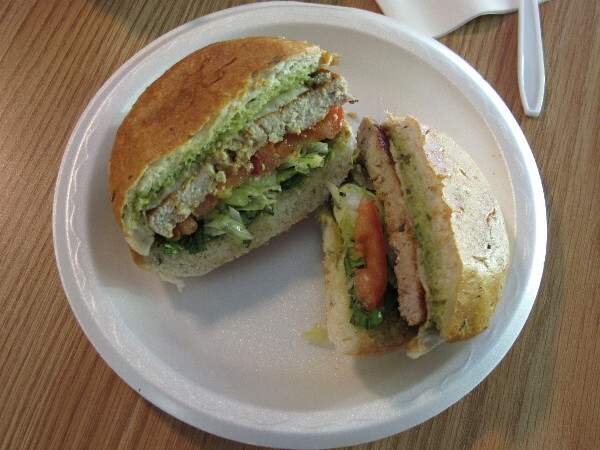 A small green salad topped and a Greek turkey burger at the Orange Tree Deli. 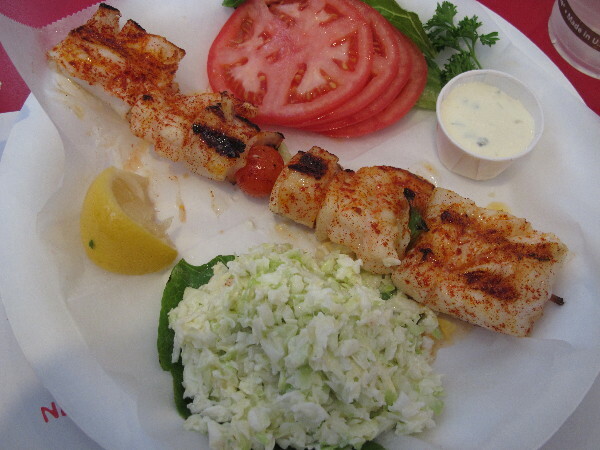 Grilled fish with tomato slices and coleslaw at The Crab Cooker. 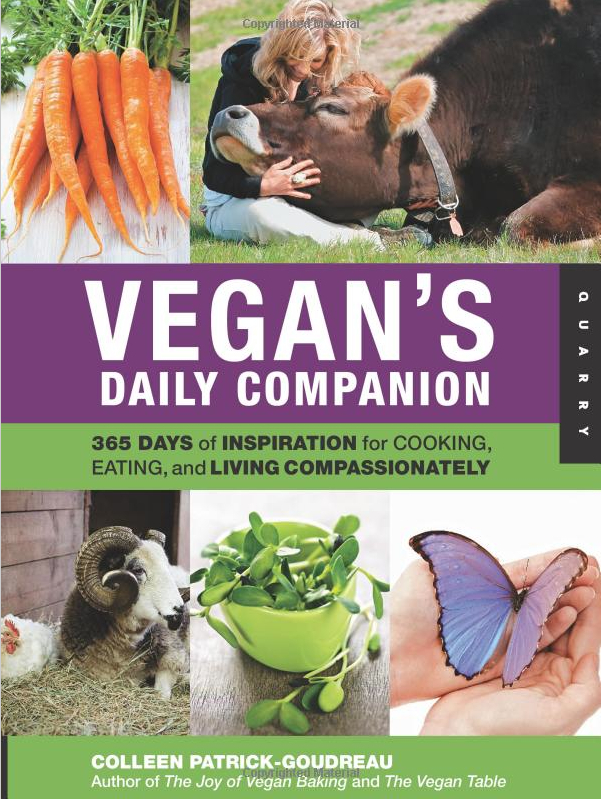 The Vegan’s Daily Companion by Colleen Patrick-Goudreau is a book that offers 365 days of inspiration for the vegan, vegan curious or new vegan. This book is full of information about the vegan lifestyle with a focus on activism. This book is divided by the days of the week and each day focuses on a topic. 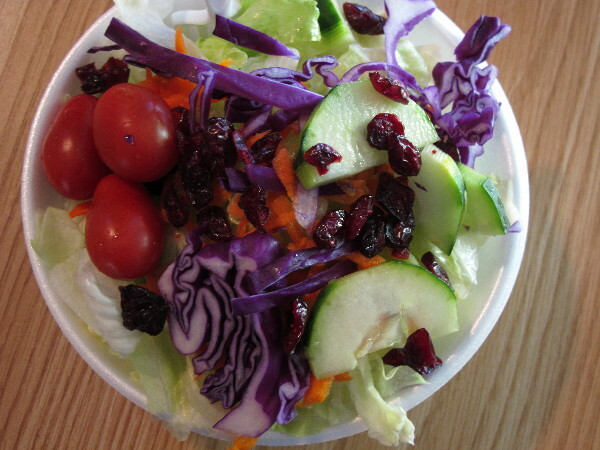 Mondays topic is For the Love of Food, it outlines healthy food options. Tuesdays are about Compassionate Communication, techniques for peace and nonviolence. Wednesdays are Optimum Health for Body, Mind, and Spirit, featuring health tips and lifestyle choices. Thursdays are Animals in the Arts, stories about animals in literature and film. Fridays are Stories of Hope, Rescue, and Transformation, stories and photos of animals that have been rescued. 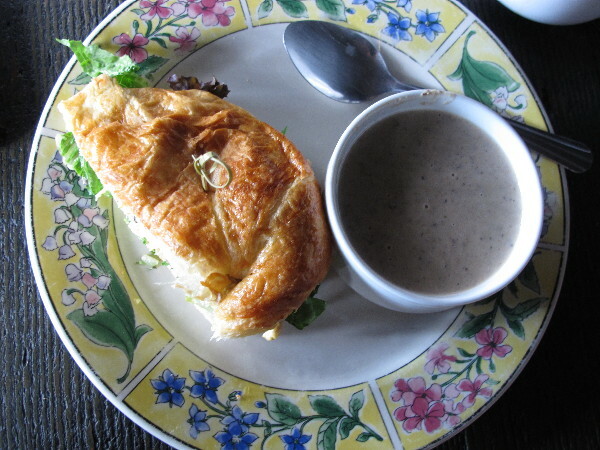 Saturdays and Sundays are Healthful Recipes, featuring simple vegan recipes. This beautiful book would be a useful guide to someone who is thinking about adopting a plant-based diet. Some may be turned off by heavy activism tone. I enjoyed many of the recipes and the layout of the book. Butternut Squash is a popular seasonal vegetable that is loaded with nutrients and many health benefits. This squash is part of the gourd family like pumpkins, melons and cucumbers. 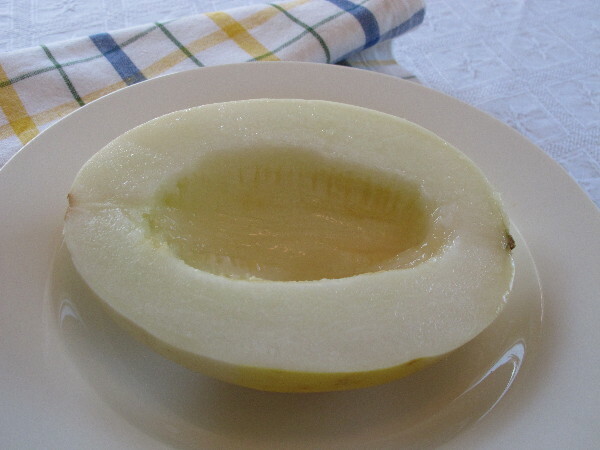 It is technically a fruit because it contains seeds. 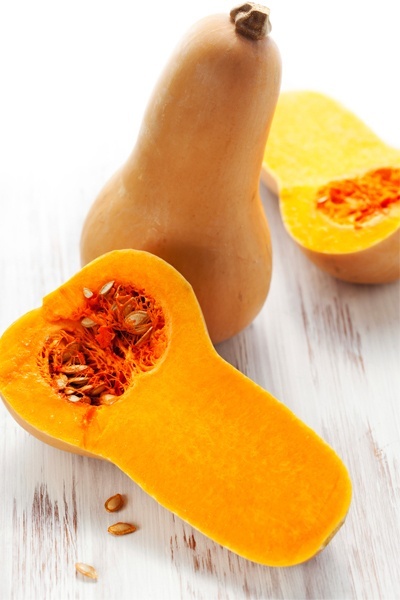 Butternut Squash is rich in phytonutrients and antioxidants. The tangerine hue of its flesh signals an abundance of nutrients. This squash is low in fat and calories and is high in fiber. One of the best sources of four carotenoids: Alpha-Carotene, Beta-Carotene, Lutein and Zeaxanthin, which offer a multitude of benefits from cancer prevention and protection from heart disease. Promotes healthy skin and eyes with Vitamin A.
Protects the body from free radicals and prevents damage to healthy cells with Antioxidants. 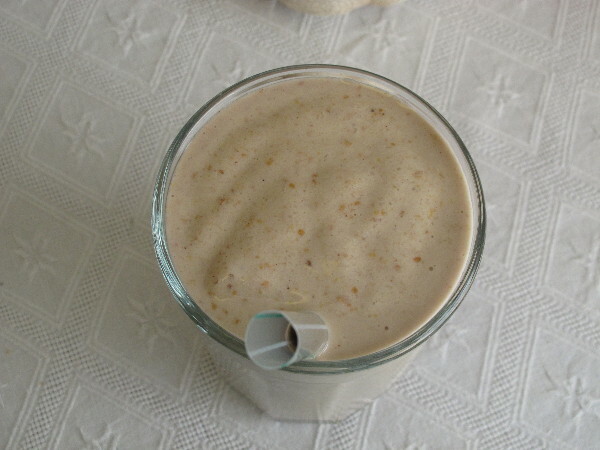 Helps to regulate the digestive tract and lowers cholesterol with Fiber. Improves bone health with a significant amount of Potassium and Calcium. Boosts the immune system with Vitamin C and Zinc. Helps to reduce depression with Folate. Promotes proper function of nervous and immune systems with Vitamin B6. Promotes vision health with Lutein. Butternut Squash can be used in both sweet and savory dishes. Since it is loaded with nutrients and has so many health benefits it is worth trying to work it into your diet this fall and winter. Butternut Squash can be used to replace pumpkin and sweet potatoes in any recipe. An added benefit of roasting the squash, your house will be filled with its nutty, buttery smell, making your house smell like fall. 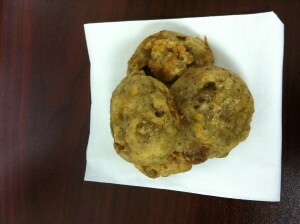 This is really the best persimmon cookie recipe I’ve tasted so far. 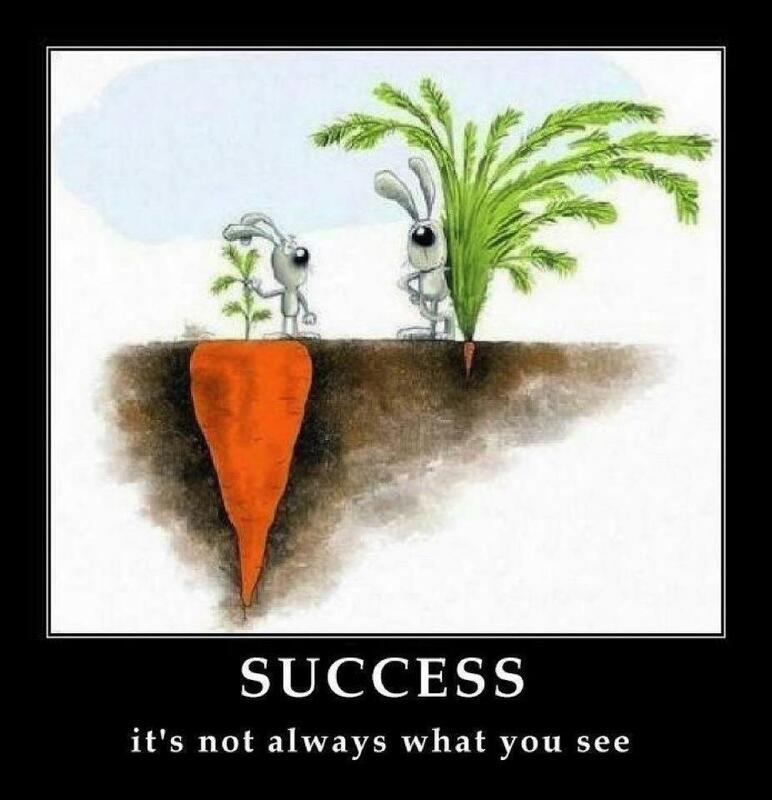 Trust me, I’ve tried a lot because my parents have a persimmon tree. My mom ended up finding this recipe at a fruit stand she stumbled upon on the way to San Diego. 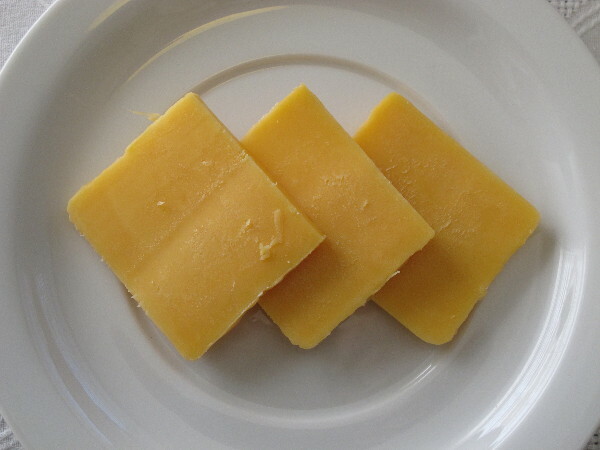 Stir baking soda into persimmon puree and let stand for 5 minutes. In a bowl, combine flour, cinnamon, nutmeg, and salt. 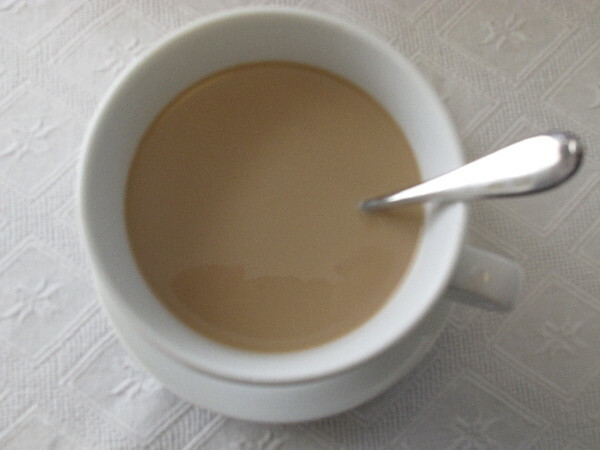 In a large bowl or an electric mixer, cream butter and sugar. Beat in egg, then stir in persimmon mixture. Stir in flour mixture to form a soft dough, then stir in nuts and raisins. 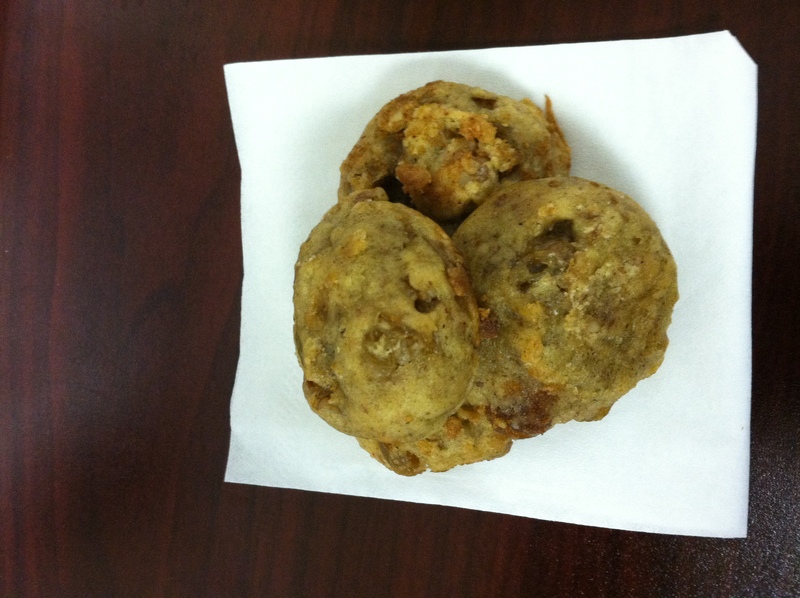 Drop batter by rounded tablespoons onto ungreased baking sheets, spacing cookies 2 inches apart. Bake in a preheated 350 degree oven until edges are lightly browned and centers spring back when lightly touched (12-15 minutes). Transfer to racks and let cool. Makes about 4 dozen cookies. Hello, Everyone. Happy What I Ate Wednesday!! I am sharing my meals from last Saturday, this was a busy day with most of my meals eaten out. I can’t believe how busy this time of year is getting so fast. Last week was Halloween, Tuesday was election day and in two weeks Thanksgiving will be here. Thank you to Jenn a Peas and Crayons for hosting the WIAW! 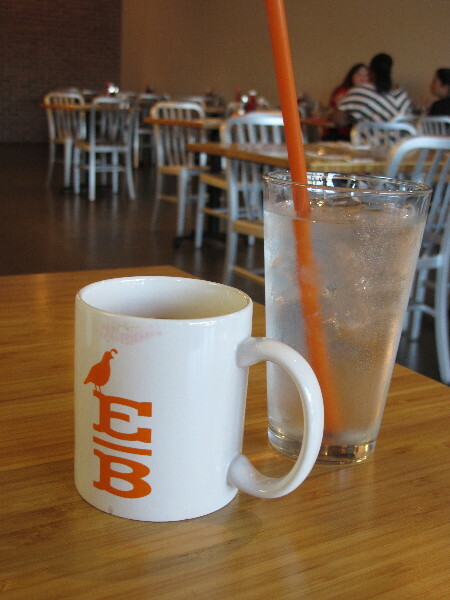 I started the day with coffee and some of the best pancakes I have ever had at the Early Bird. 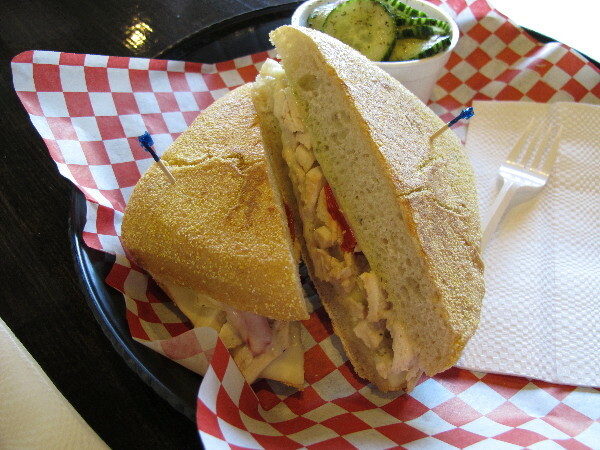 A chicken panini at Rae G Cafe. 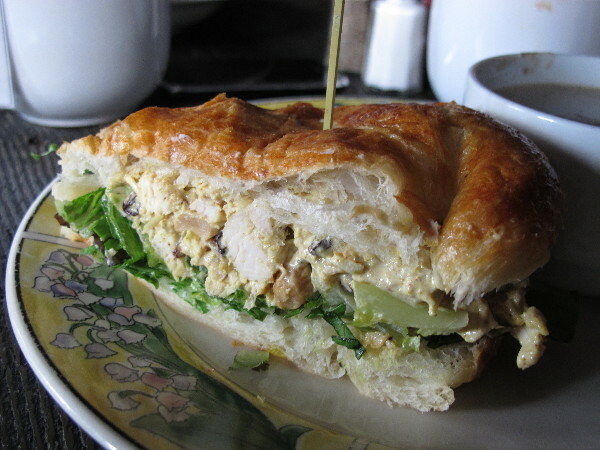 A half curry chicken salad with mushroom soup at the Gypsy Den. All so tasty! 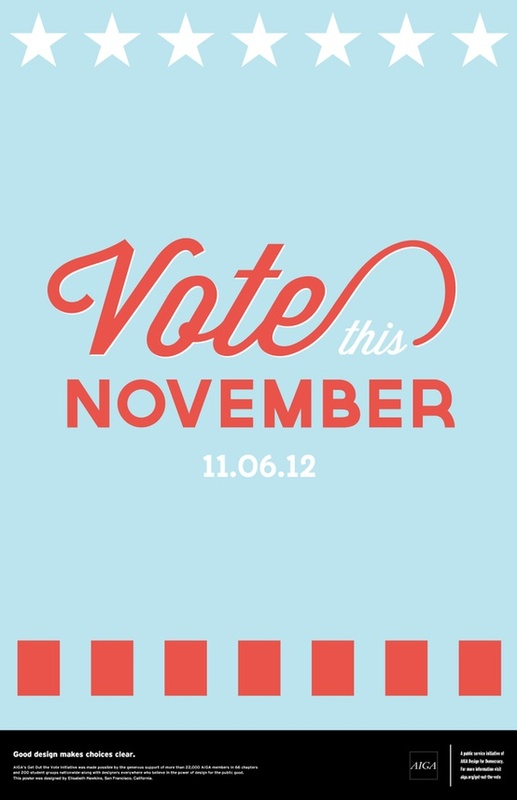 Exercise your right, get out and vote!